The primary purpose of our organisation (I.K.K.A.) is to continue the teachings of the legacy laid down by our Senior Grand Master Ed Parker 10th Degree Black Belt "The Father of American Kenpo". We pledge a loyalty to continue these teachings through our 1st- 2nd- 3rd generation Black Belts. 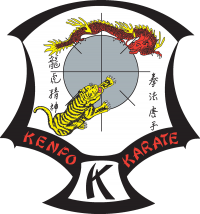 Upholding the vision and standards of Mr Parker's organisation the International Kenpo Karate (World) Alliance (I.K.K.A), with total respect for Mr Parker's patch. Our purpose and goals are "Mastery of Ourselves"; towards a "Path of Excellence" in Kenpo. One must work through the "Master Keys" of our instructors teachings. The Art of Kenpo continues to evolve and grow, it is a living Art. It lives through Mr Parker's teachings of principles and concepts, also through it's schools, instructors and students. Kenpo should be an endless journey of enlightenment, an onward and upward movement towards the highest levels of perfection. We want to be at the forefront of the next millennium. To achieve this, we need to be responsible and take action now to share our destiny for Kenpo. As we prepare for the 21st century we must have a vision, as Mr Parker did, to provide direction, motivation and have a purpose to develop the architecture for the growth and the future of our Art and the Alliance. The I.K.K.A welcomes and invites all martial artists interested in expanding their education and perpetuating their skills into the future. We also invite and welcome the many qualified people who were exposed to the teachings of Master Parker. Also the many "new generation" instructors and students who may wish to be part of our exciting future to bring Mr Parker's Kenpo into the new millennium, and be part of a legacy of heritage and history of the past. We will all work towards developing the Art of Kenpo throughout Jersey, the United Kingdom, Europe and the World. Continuing the lineage of a generation of Black Belts and the roots of Master Parker's Kenpo Karate, " What was, isn’t the same as what is, or what can be"- Ed Parker - Zen of Kenpo.